WHICH IS PRETTY MUCH THE SAME THING! At Windchase, we always have an excellent selection of Event horses for sale, ranging from talented young prospects to successful experienced competition horses. Our horses are always represented honestly; it is very important to us to help the rider find the right horse, and we make every effort to help ensure a suitable match that will result in a successful partnership. Windchase specializes in Event horses of all types, including Irish Sport Horses, American Thoroughbreds, Warmblood crosses, and imported Eventers. We also provide horses for dressage, hunter/jumper, foxhunting and pleasure riding. We generally have horses suitable for a wide range of riders, and in a variety of price ranges. Check out the horses on this page, but if you don't see what you are looking for, contact me anyway; I usually have some new arrivals or promising youngsters that aren't yet listed on the website. If I don't have the right horse for you, I can also help you locate suitable horses with some of my colleagues. Located in Virginia in the heart of USEA Area II, we are convenient to the mid-Atlantic region. Many highly successful competition horses have come from Windchase, and quite a few have gone on to compete well at the three- and four-star levels. But just as much of a success story are the hundreds of former Windchase horses who have been excellent mounts for lower level competitors, amateurs and pleasure riders. If you have a horse you need to sell, we can help with that too; read about our Consignment program. I am a firm believer in giving young horses the right basics and correct training before pushing them in competition. All of our youngsters are carefully trained; they are never over-faced or pushed beyond what they are ready for. We bring each horse along at the rate that is best for the individual. Even if they are green, everything that has been done with them has been done the right way, so that they have not lost confidence or developed bad habits. I find this makes an enormous difference in helping the horse reach its full potential. I have a number of really nice horses in a variety of price ranges, some of which are not yet listed on the website. Tell me what you are looking for in a horse regarding age, size, type and experience level, and let me know your level of riding and price range; I will send you info on the horses that would be suitable. I will be happy to answer any questions about the horses you are interested in, and provide prices. I assure you that my horses are of top quality and honestly represented, and if you come see them you will not be disappointed. Please, serious inquiries only. We are happy to show horses to serious buyers, but we have a very busy schedule and cannot afford the time to accommodate people who are just checking out the market, those who have not yet figured out what they want, or those who need to sell their own horse before buying one. But if you are ready to find your new partner, make an appointment to come to Windchase and see our horses. Help save the traditionally-bred Irish Sport Horse! Need help selling your horse? We can help. Learn about our Horses on Consignment program. The Windchase 'Go for the Gold' Sale! Are you looking for an exciting young Irish Sport Horse eventing prospect with the talent and ability to go to the top of the sport? You don't need to go to the Goresbridge Go for Gold sale in Ireland; come to Windchase instead. Windchase is proudly offering six exceptional young homebred Irish Sport Horses for sale in our own private Windchase Go for the Gold sale. These talented youngsters, 3 to 5 years of age, all have correct conformation, lovely movement and unlimited potential. They have been brought along carefully and correctly. Progeny of leading sire Brandenburg's Windstar, they are carrying some of the best jumping bloodlines in Ireland. They are all traditionally-bred Irish Sport Horses with at least 75% Thoroughbred blood; this type of breeding is getting harder and harder to find, even in Ireland. So instead of going to Ireland and trying to outbid the other buyers at the big sporthorse auction, come to Windchase and see our exceptional group of youngsters. Save yourself the cost of overseas travel, the inflated auction prices and the extra $10,000 to ship a horse home. 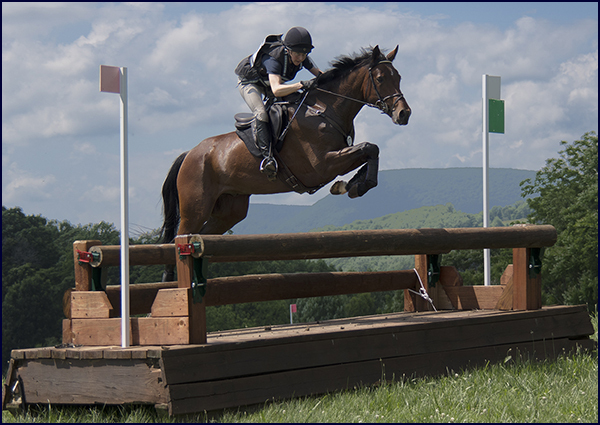 Scroll down to see our excellent Eventing prospects offered for sale. Don't wait too long; the prices on the three-year-olds will go up when they turn four in January! WINDCHASE STARFIRE � Chestnut 2014 Irish Sport Horse (3/4 TB, 1/4 ID) homebred gelding, should finish about 16.2 hands. He is by leading Eventing Sire Brandenburg's Windstar (by I'm A Star, out of Kildalton Seabreeze, by Sea Crest), and out of a good TB steeplechasing mare. This striking youngster is traditionally Irish �bred, with the super Irish jumping bloodlines that are getting hard to find. He has excellent conformation, beautiful movement and a good uphill balance. Like all of Windstar�s offspring, he is a bold and scopey jumper. He is well schooled, going nicely on the flat and over small courses, and ready to start his competition career. This is a serious upper level prospect with the potential to go to the top. FARO DE LA GALERNA - Charcoal grey 2013 Sport Horse gelding, 15.3 hands and growing. Bred to Event, Faro is out of a well-bred Irish Sport Horse mare (by Brandenburg�s Windstar), and is by successful TB eventing stallion Orujo de la Galerna. This athletic young horse is a good mover and a talented jumper, clever and handy, a real sports car type. He is winning at Novice now, and will move up through the levels quickly. Suitable for a Young Rider or ambitious competitor who wants a talented youngster to bring along to the top. Late News: Faro also won the Novice division at the Loch Moy horse trials on October 21, 2018. Late News: Faro also jumped double-clear and finished on his dressage score in the Novice at the Virginia Horse Trials. WINDCHASE EAGLESTAR � Grey 2015 Irish Sport Horse (3/4 TB, 1/4 ID) homebred gelding, should finish around 16.2 hands. Bred to event, he is by top Eventing Sire Brandenburg's Windstar (by I'm A Star, out of Kildalton Seabreeze, by Sea Crest), and out of a good TB mare with distance bloodlines. This beautiful youngster is an exceptional mover and has good correct conformation. All of Windstar�s babies have super jumping ability. Eaglestar�s full siblings have been very successful in Eventing, Dressage and the Hunter/Jumper world. Just starting under saddle now. This classy young horse has unlimited potential. WINDCHASE HYDRA � Bay 2015 Irish Sport Horse (3/4 TB, 1/4 ID) homebred mare, should finish over 16.2 hands. 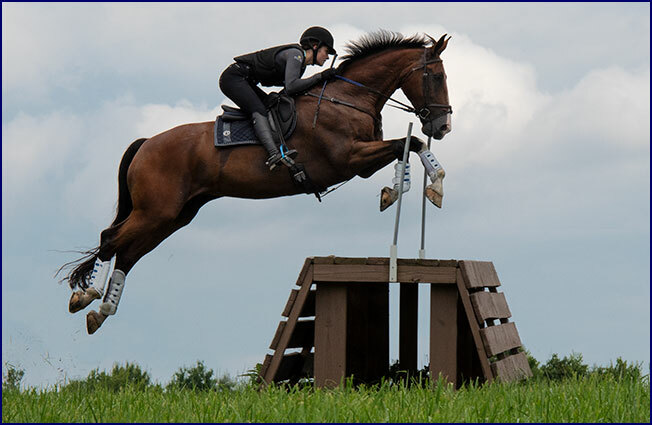 Bred to event, she is by leading Eventing Sire Brandenburg's Windstar (by I'm A Star, out of Kildalton Seabreeze, by Sea Crest), and out of a good TB mare with excellent steeplechasing bloodlines. She is recently started under saddle and going nicely, displaying an excellent temperament.. This athletic youngster is a beautiful mover, and all of Windstar�s offspring are terrific jumpers. A super Eventing prospect with the talent for the upper levels. WINDCHASE SECRET STAR - Bay 2015 Irish Sport Horse (3/4 TB, 1/4 ID) homebred mare, should finish 16.2 hands. Bred to event, she is by leading Eventing Sire Brandenburg's Windstar (by I'm A Star, out of Kildalton Seabreeze, by Sea Crest), and out of a fancy TB mare who was a successful show horse. 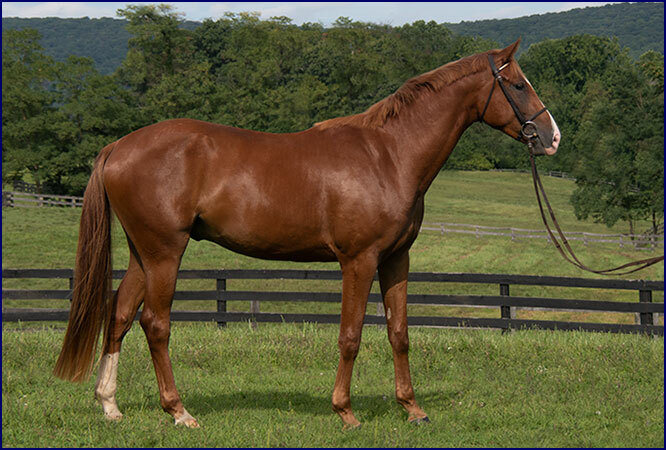 This elegant young mare is a terrific mover, and all of Windstar�s babies have super jumping ability. Recently started under saddle, she is going nicely and has a great personality. Secret is an elite Eventing prospect with unlimited potential and the ability to go to the top levels. FELIX - Black 2013 Arabian gelding, 14.3 hands. He is of ancient Egyptian bloodlines; Al Khamsa and Sheykh Obeyd, rarest of all Arabian breeding. His registered name is Avalon Faydin Halim, but we call him Felix. This classically beautiful horse has a wonderful temperament, excellent movement, and is a willing jumper. Though young, he is well schooled, easy to ride and handle, and good on the trails. He is a very safe mount, and is suitable for a child or adult amateur. This versatile horse should do well in Eventing, the Show Ring, Endurance, Dressage, or as a Pony Club mount. Affordably Priced. Windchase has five lovely new youngsters in training, ages 4 to 6, that will be available for sale soon. BARNABY (a.k.a. Cory�s Attitude) � Bay 2013 unraced Thoroughbred Sport Horse gelding, 16.2 hands. This attractive young horse is athletic and well-balanced, and has excellent movement and jumping ability. He is cantering courses, schooling out across the country, and has done a little cub-hunting. He has good basic schooling and is ready to start his serious Eventing career. This talented prospect has the potential to progress to the upper levels, but is also easy enough for an ambitious amateur. 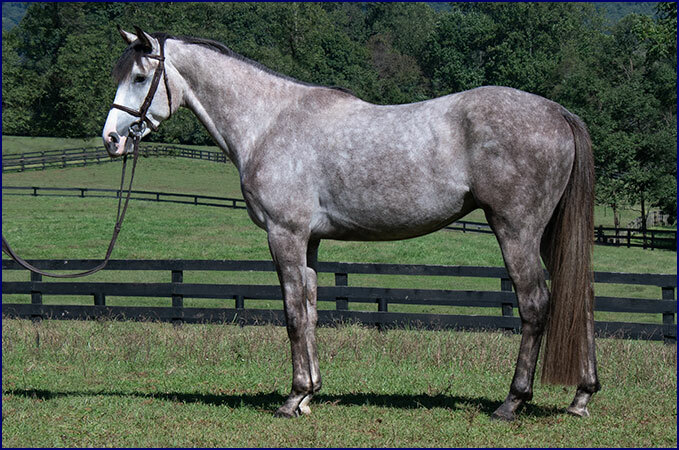 OLIMPUS SM � Grey 2013 Holsteiner/TB gelding, 16 hands. Ollie is 75% TB, by Olimpo LS out of Mad Dancer (TB by Moscow Ballet), so he has excellent jumping bloodlines and plenty of TB blood. He has good movement and plenty of jump, and has a quiet easy-going temperament. Competing at Novice now, with a bit more mileage he will make a good amateur horse. He would also be a good foxhunter. NOT GUILTY (a.k.a. Gee) � Training/Preliminary Schoolmaster. 2003 dark brown Sport Horse Thoroughbred gelding by Joint Verdict, 16.2 hands, unraced and bred to Event. This experienced campaigner has competed extensively up through the Preliminary level, and knows his job. He is well schooled and talented, and is a super mount to gain experience on. He is sound and healthy, and ready to take you up the levels. WINDCHASE MAGICAL - Chestnut 2011 Canadian Sporthorse gelding, near 17 hands. This stunning young horse is a beautiful mover with a good natural uphill balance and a ground-covering stride. He is a scopey and talented jumper, and very bold. He is well schooled and has a super attitude. He is winning at Novice level now, and will move up the levels quickly. He has top level quality and ability. An exciting upper level prospect. Late News: Magical won the Novice at Loch Moy on September 2, 2018, finishing on his dressage score of 22! DESHI CR � 2008 Oldenburg bay mare by Donates, 16.1 hands. This lovely mare is a really beautiful mover and an excellent jumper. She is quiet and easy to ride, and has a super personality. She has a background in hunter/jumper and dressage, and is now turning her talents to Eventing. Light in the bridle and light on her feet, she could excel in any discipline. Late News: Deshi placed 3rd in the BN at Loch Moy on September 2, 2018. TYRION � Bay 17 hand 2007 Irish Sport Horse gelding, by Bank's Fee Daniel (RID) out of All Ears (Oldenburg). A striking bay with four white socks and a blaze, he is a real eye-catcher. He is lovely to ride, a beautiful mover and a powerful bold jumper with excellent form. He is competing successfully at the Training level (unrecognized), and excels in all three phases. Bold and easy to the fences, he would be a great horse for an amateur who wants a fancy horse to move up the levels. He could also be successful in straight Dressage or in the Show Ring. Late News: Tyrion placed 3rd in the Training division at Loch Moy on September 2, 2018. Need help selling your horse? Learn about our Horses on Consignment program. CLICK HERE TO SEE SOME OF WINDCHASE'S HOMEBREDS. Windchase also offers for sale a selection of young Irish Sport Horse homebreds, sired by our elite Irish stallion, Brandenburg's Windstar. We have combined the finest Irish jumping and Eventing bloodlines with outstanding American Thoroughbred mares to produce lovely 3/4 bred youngsters with the potential to excel in all disciplines. 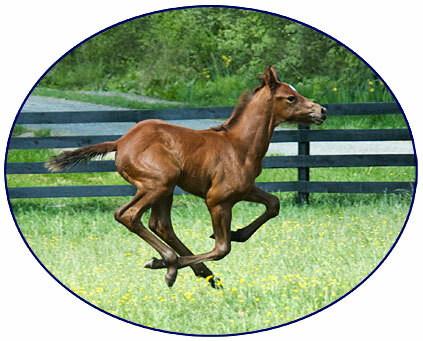 For information on Windstar's youngstock, visit Windstar's babies. Click on this like to view Horses Previously Sold.